The No Man’s Sky PC version has been data mined, and results hint at an Xbox One version of the game. According to Neogaf user ‘Dragonbane’, all of the data from the Steam version of No Man’s Sky was extracted by a friend, and some interesting discoveries were made. One of the most interesting things found, is a line regarding an Xbox One version of No Man’s Sky. As some of you might know, the game uses the Havok physics engine for animation and other dynamic features, and it appears that this allows Hello Games to develop for the Xbox One as well. Whether No Man’s Sky will ever release on Microsoft’s console remains to be seen, but it appears that an Xbox One version of the game isn’t ruled out by the game’s director, Sean Murray. In a recent interview with British newspaper, The Daily Star, Murray said that he wasn’t sure what he was allowed to say on this matter. So when we spoke to Hello Games Sean Murray, the man responsible for creating No Man’s Sky, we asked him and received a rather coy response for what we assumed was a very straightforward question. In response Murray told us he wasn’t sure what he was “actually allowed to say” at the time, noting that he needed to be “very specific with my words”. Before going any further though, Sony’s rep stepped in to move the interview along, explaining that at this time there was nothing more to add. Since Hello Games owns the rights to the No Man’s Sky franchise, and has self-published the title on both PC and PS4, an Xbox One version of the game seems possible indeed. 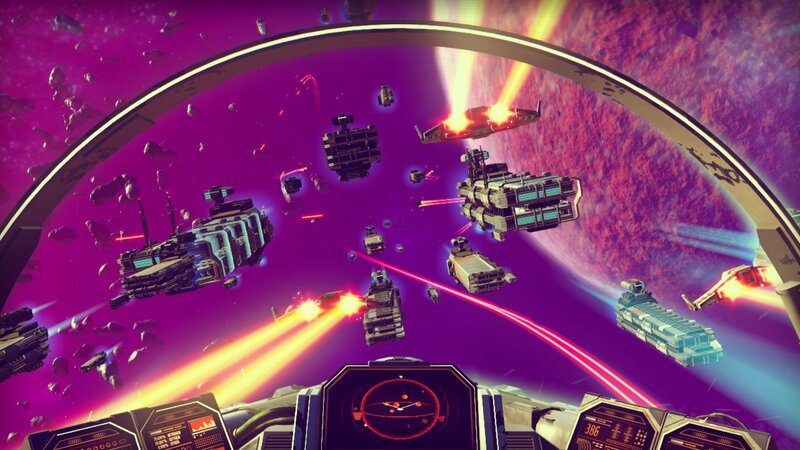 No Man’s Sky is out now for PC and PS4. The game has suffered from serious launch issues, but Hello Games has reassured that its aware and has promised a patch to fix most of the issues that players have been reporting. At the moment of writing, Hello Games has made an experimental branch available on Steam which should fix the most critical issues.